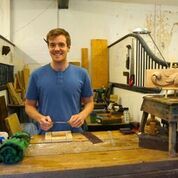 We are thrilled that William Barsley, one of our woodcarving students entering his second year at City & Guilds of London Art School, is collaborating with the Guild of Master Craftsmen Woodcarving Magazine on an ongoing series of articles. William’s first article is in Issue 152, with more to follow. 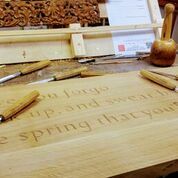 Further information about the publication can be found on the Guild of Master Carvers website. Many congratulations to William; we look forward to following his journey!